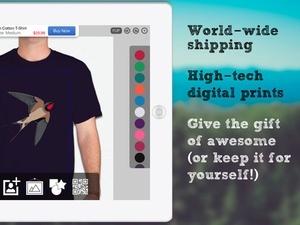 Design and ship awesome custom shirts that look just the way you want. Then purchase and receive them in as little as two business days. hirtsy is a revolution in shirt design. 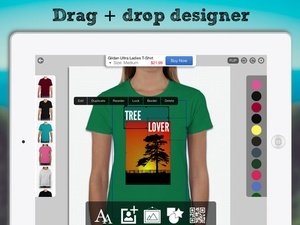 With the easy touchbased designer, you can drag text, photos, images clip art, are codes into place to create a design. 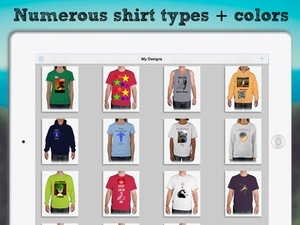 elect from 9 different shirt types in dozens of colors. dd unique designs to the front and back of the shirt. We work with three stateoftheart printing facilities to ensure precise prints on topquality garments. tandard shipping is only $3.95 and arrives in 612 business days, with rush shipping options also available. What better way to celebrate a birthday, holiday, or special event? Your hirtsy shirt is guaranteed to be one of a kind. Here's the full scoop designer how it was meant to be. dd your own photos, drag them into place, and resize them using simple touchbased gestures. 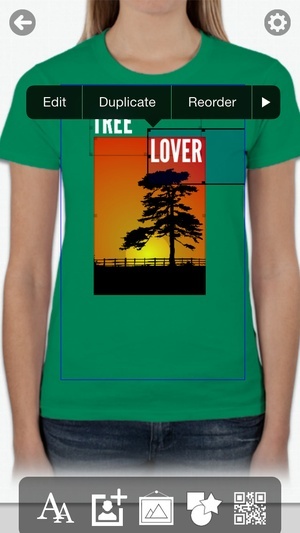 Insert text, selecting from over a dozen handpicked fonts and colors. dd shapes and glyphs from our huge collection. We've even incorporated a public domain clip art search, so you can add cool illustrations from a library of thousands. Even cooler design on the front back side of the shirt. We've collected some of the best shirts on the market, each in many different colors. hirtsy shirts include a basic tee, Vneck and unisex tees, ladies tees, men's and women's longsleeved shirts, hoodies, tank tops, and youth tees. 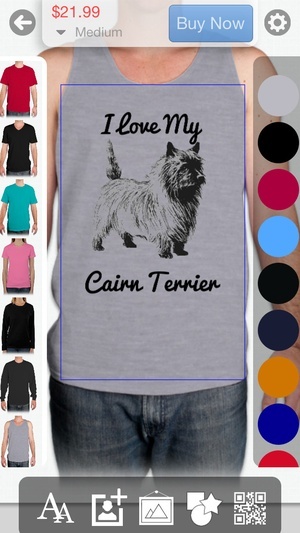 Most shirts come in numerous colors and sizes from small to Prices start at $18.99, which includes fullcolor frontside printing. We use three distributed printing facilities in the each employing stateoftheart digital shirt printers. tandard shipping is just $3.95, and will arrive on your doorstep within 612 business days in the 48 contiguous states. 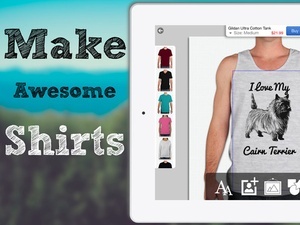 hirtsy lets you create unique designs in minutes. 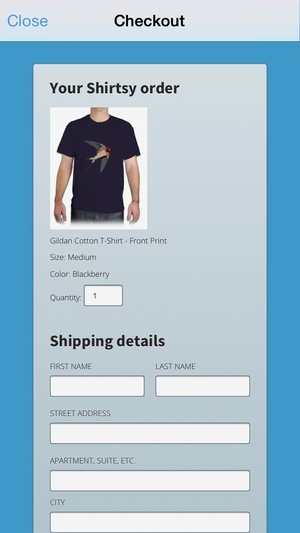 If you want your design printed, just checkout right on your device for quick delivery. We'd love to hear from you. 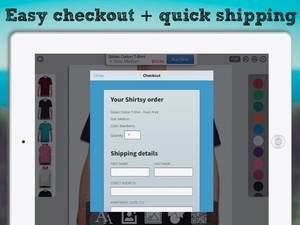 Visit us on the web at http//www.shirtsyapp.com/, or email us at hello@wombatapps.com. We'll respond within 24 hours. Happy shirt making! 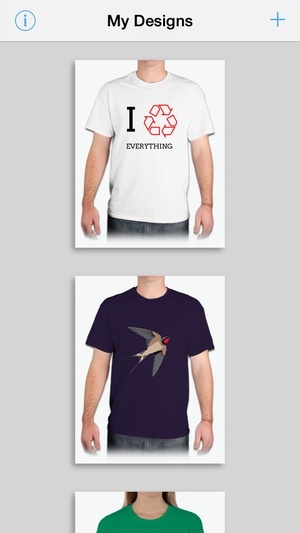 Check these links to find your download for Shirtsy for & iOS or for your device iPod TouchiPadiPhone. 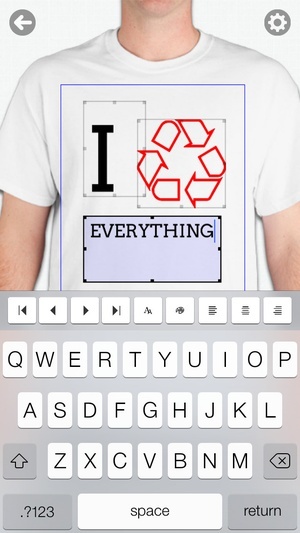 The app Shirtsy is compatible with te following devices.